Fifth-generation technology, mostly known as 5G, is already stumping up millions of dollars in research even though the standards framework for next-generation communication networks is to be set within the time corridor 2017 - 2019 and first commercial solutions expected to go live during 2020. Telecoms equipment vendors and semiconductor manufacturers know the prize is too big to ignore as being part of the 5G standard opens up a treasure chest of future licensing and royalty revenues if their technology patents are included in the standard. 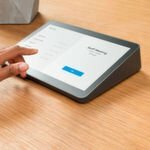 As such, many projects and pre-standardisation solutions for this next-generation fixed and mobile infrastructure are happening now and companies are placing their bets on what they figure will become part of the future standard. The multitude of initiatives happening in Europe, Korea, Japan and the USA are mostly driven by how different organisations and academia see communication needs unfolding during the next decade, combined with their technical constraints and a good dose of lobbying. In short, there's a lot of competition and much resulting confusion. In order to shed light on developments in this significant area, visitors to http://www.wi360.com/5G can find and review the latest conferences and webinars on 5G, as well as news on the latest 5G developments. 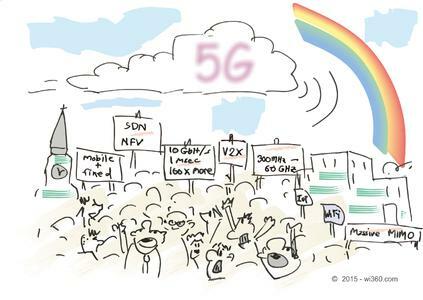 "We hope to uncover the wide range of initiatives and opinions on how 5G will develop" says Niels Kellerhoff, wi360's spokeperson. "It's also about highlighting influential pockets of 5G knowledge off the usual beaten track of increasing capacity by 1000 or decreasing latency by 100." 5G is expected to stimulate the next phase of industrialisation, allow never-seen-before broadband speeds, and be a key enabler for the Internet of Things (IoT), a technology envisioned as being able to ultimately connect 25 billion networked devices that require a very low bandwidth yet long battery life. Visitors who register at 5G.wi360.com will receive news on the latest developments, events and opinions straight to their email inbox and can set the frequency of such alerts. The website also allows defining 5G sub-categories such as spectrum, IoT, connected cars, infrastructure equipment, semiconductors, patents and many more as focus areas, thereby avoiding information overload that plagues many business people today. Joining wi360 as a member is free-of-charge for all telecoms professionals. 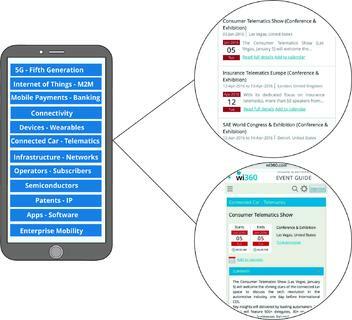 wi360 tracks events and market intelligence on mobile/wireless infrastructure, devices, semiconductors, patents, and in verticals like 5G, M2M/IoT, mobile payments, LBS, the connected car and other emerging, high-growth segments. Membership is free for all professionals who have a stake in the mobile/wireless ecosystem. Members may submit summaries on events and market research to wi360's portal at no cost. Planungshilfe für Führungs- und Fachkräfte aus der Telekommunikationsbranche: 2016 Tagungs- und Kongress-Kalendar "Wireless & Mobile Technologies"